Welcome to the final list of SuperPhillip Central's Best of 2014 Awards! This is the list where I talk about my favorite games of 2014, so it's an extended top ten list this time around. Game-wise, 2014 was a year that I will look back on fondly, due to its staggering amount of gameplay-centric releases. Without further ado, here's my Top Ten Games of 2014! Nintendo is great at putting out games that I didn't even know I wanted until they're released and I play them. 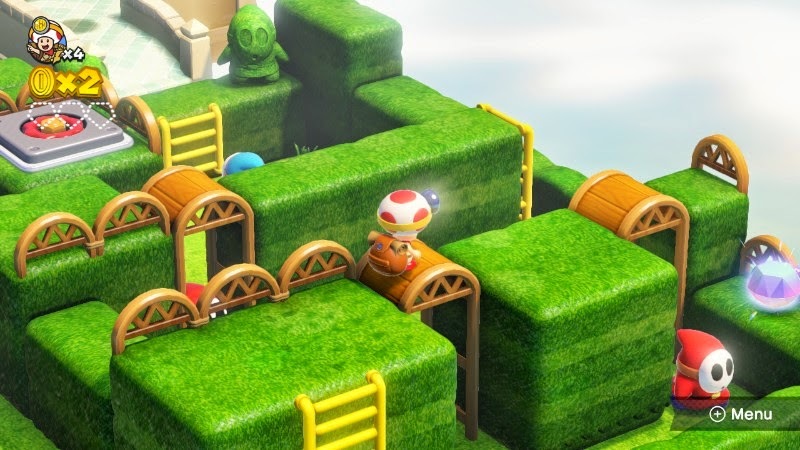 Captain Toad: Treasure Tracker is one of these games-- a puzzle adventure game with levels that are more akin to interactive dioramas than anything else I've ever seen. 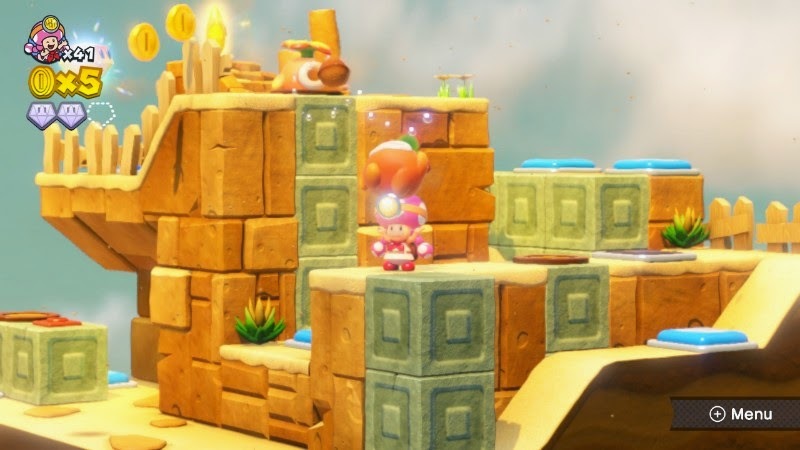 With an abundant array of adorable characters and worlds, clever puzzles, and plenty of replay value, Captain Toad: Treasure Tracker was a big surprise to cap off a great year of games that was 2014. Each level introduces a new component to the level design that delights, shows off the impressive knowledge of game design that Nintendo EAD possesses, and wows players with its brilliance. Indies continue to astound me with their quality. When a studio devised up of a dozen or less can create an experience that rivals what big developers can do, my jaw drops to dangerously low levels. 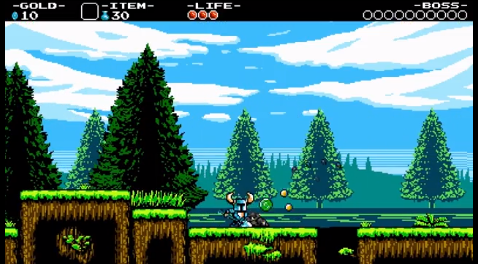 Yacht Club Games' Shovel Knight is a NES-era retro game inspired by action platformers like Mega Man and DuckTales. The end result is a two hour tale that offers immense value, tight platforming, unparalleled action, and terrific level design. The entire package of Shovel Knight is polished so incredibly well that it makes games made by some bigger developers look like student projects in comparison. 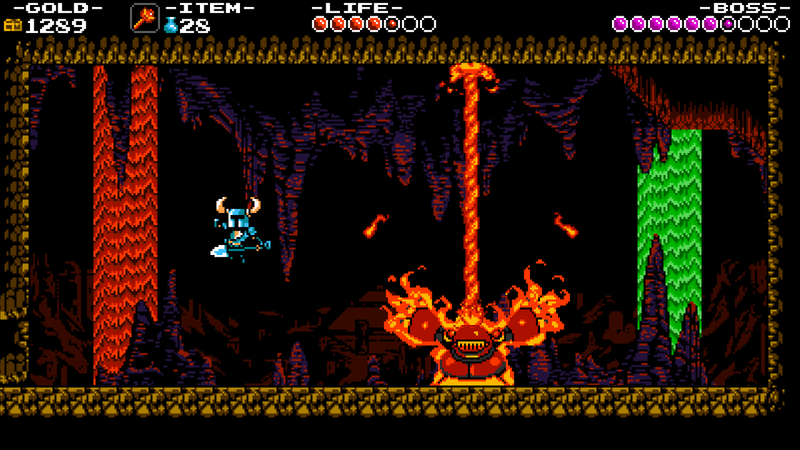 Since the game is on sale for 33% off at both the Wii U and Nintendo 3DS eShops at the time of this top ten list, there's no better time to see what the hubbub around Shovel Knight is all about. The rhythm game genre is one I absolutely adore-- even as someone without much actual rhythm (d'oh!). The original Theatrhythm Final Fantasy made its mark on me greatly, making it my favorite music game of all time. 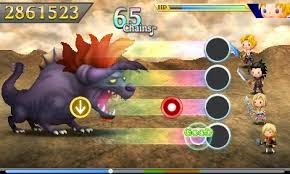 Curtain Call, its sequel, adds so much to the formula-- over 200 songs from both mainline and spin-off Final Fantasy games, a wealth of Final Fantasy characters to choose from, and multiple new modes like Quest and online battling to create a fantastic rhythm game. 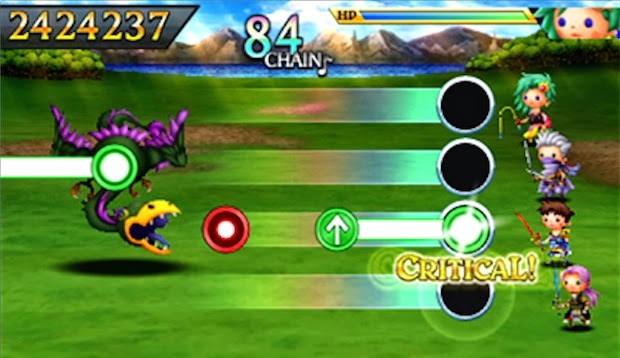 Throw in the simple yet tough to master gameplay of tapping and touching the screen to make Theatrhythm Final Fantasy: Curtain Call a fantastic musical journey. Many people throughout my gaming career have told me to get a life. Well, with Fantasy Life I outperformed their meager expectations of me and got twelve different lives! Har-har... In all seriousness, while the campaign of Fantasy Life is short compared to the rest of what the title offers, the real meat of the game happens when you try to take your life (i.e. job type) and become better at it. There are a wide amount of objectives to complete for each job as you make your way from fledgling to master, massive numbers of lands and areas to explore, creatures to defeat, and a wondrous world to journey through, making Fantasy Life one of my favorite original handheld games of 2014. Next to Ratchet & Clank, the LittleBigPlanet series is my favorite that SCEA publishes. Although released with many issues (welcome to next gen, baby! ), by the time I picked up the game and played it, these problems were taken care of. 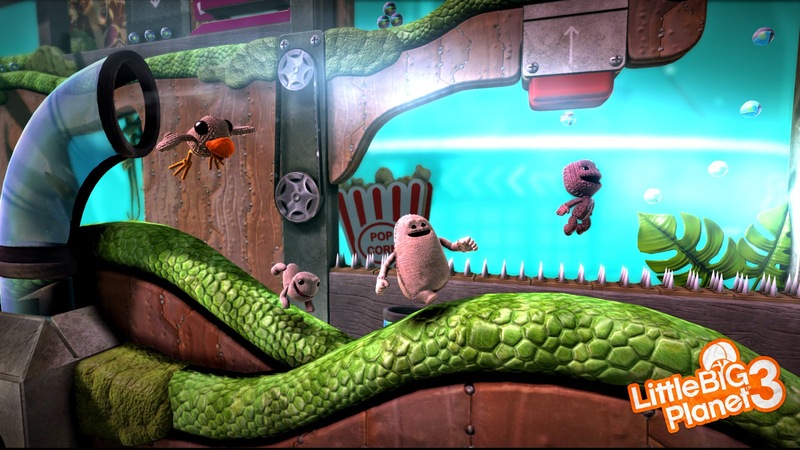 LittleBigPlanet 3 is a game that features 16 layers of depth to play and create levels in, allowing for levels that look and play absolutely awesomely. 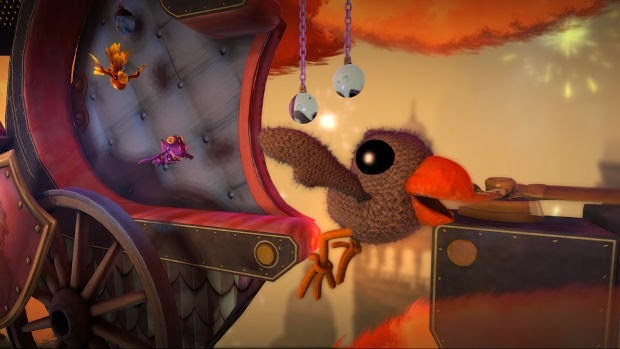 The way tutorials are implemented into actual levels rather than having you sit through the dry humor of Stephen Fry makes LittleBigPlanet 3 a much better game in teaching the player to create than past entries. Throw in different characters in how they look and how they play, a bustling community that is as creative as any I've seen on a console, and you have a fantastic game and tool kit to work with. The last Musou styled game I played while Dynasty Warriors Gundam, and that wasn't the most varied gaming experience around. However, Nintendo and Tecmo-Koei managed to mix two series that originally seemed like the gaming equivalent of oil and water, The Legend of Zelda and Dynasty Warriors series, to create one of my favorite games of 2014. It's certainly one of my most played. 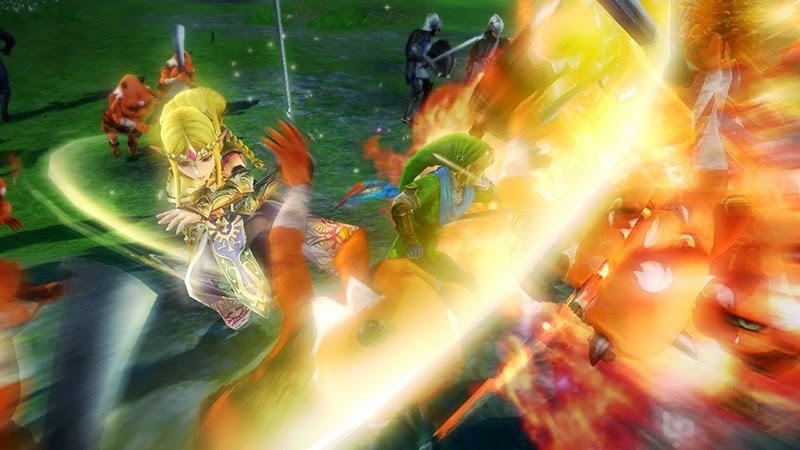 Hyrule Warriors is fan service comes to life for Zelda fans like me, and it definitely doesn't hurt that the actual game is a blast to play, teeming with a massive amount of content and modes. 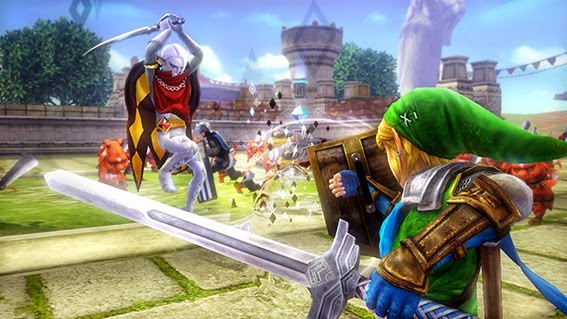 Even without DLC, Hyrule Warriors is packed to the gills with content, co-op play, and fan service that oozes out of every orifice of the title. The game is without question a fantastic love letter to both Zelda and Dynasty Warriors fans, doubly so if you're a fan of both! I am a definite sucker for a good arcade golfing game. For the longest time, the Nintendo 64's Mario Golf was my personal choice when I wanted to hit the links with Mario and friends. 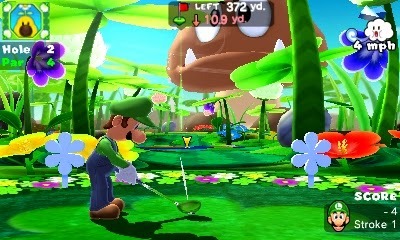 That is until Mario Golf: World Tour for the Nintendo 3DS came out. This game is absolutely packed with cool characters, well designed courses, deep golfing gameplay, a solo mode that while not an exact RPG mode like the GBC and GBA Mario Golf games offers longevity and entertainment, online play, tournaments, and so much unlockable content. 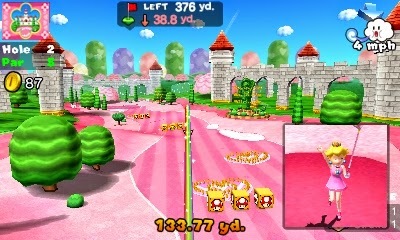 The DLC which is essentially the N64 Mario Golf courses and four different characters is the icing on the cake, solidifying Mario Golf: World Tour as my favorite golf game of all time. I just didn't know I'd love it as much as I did and do. I haven't been this enamored with a Mario Kart game in quite some time. Perhaps the long-missing inclusion of being able to play Grand Prix mode with a buddy added to my love of the game. Perhaps also the 32 expertly-designed tracks, terrifically tight controls, and gorgeous graphics makes for a Mario Kart that is as much a treat to look at as it is to play. 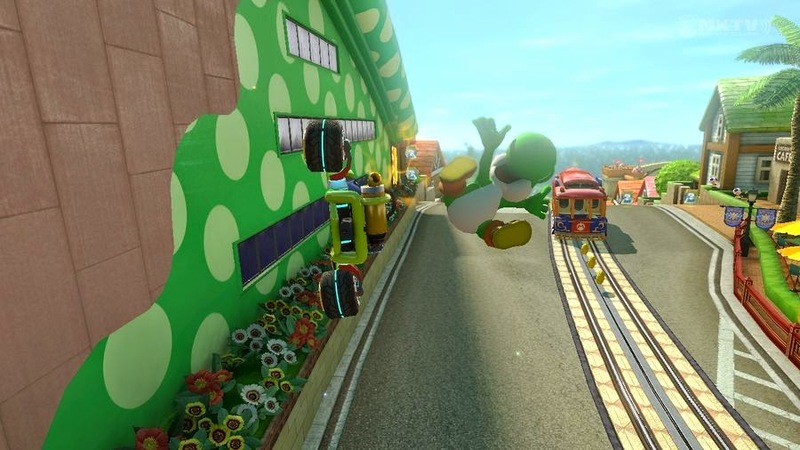 The all-new anti-gravity sections of tracks makes for a Mario Kart that is heavily reminiscent of F-Zero, and since that series is in hiatus until who knows when, that's definitely not a bad thing! 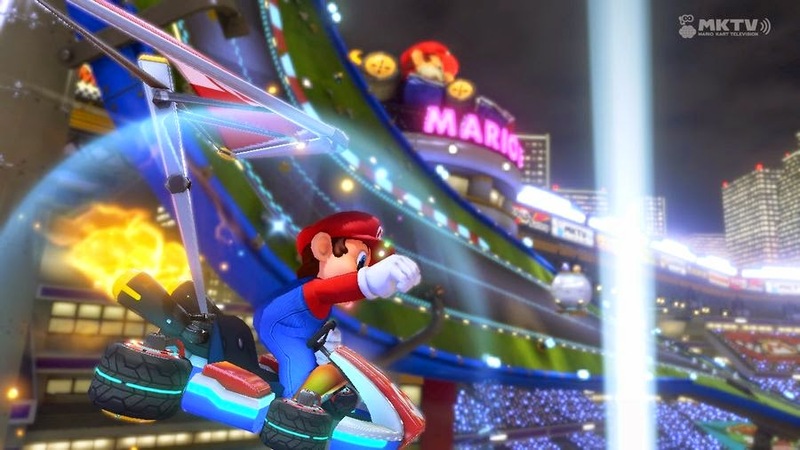 Add in excellent online and offline multiplayer, one of the best soundtracks the series has ever witnessed, and some of the best valued downloadable content around, and you can see why Mario Kart 8 is on a lot of folks' game of the year lists this year. When Retro Studios was revealed to be working on a sequel to Donkey Kong Country Returns and not something new like Metroid, gamers collectively turned up their noses. 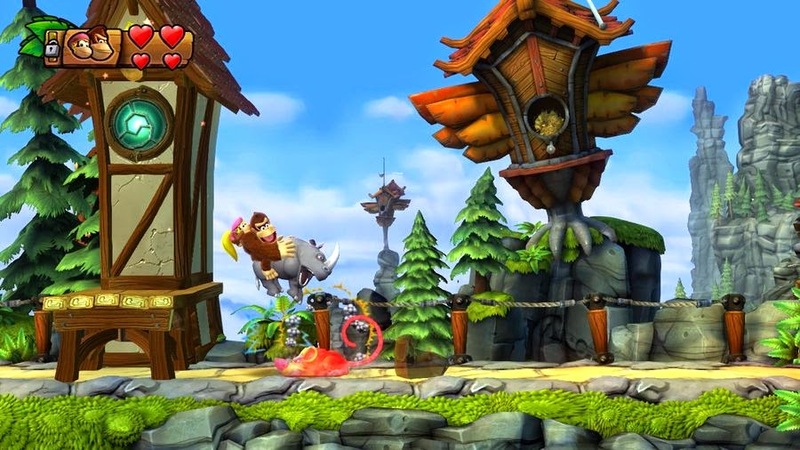 However, when the actual game, Donkey Kong Country: Tropical Freeze, released to the public, many of these critics quickly aimed their noses back downward and enjoyed what I absolutely consider one of the best 2D platformers ever created. Each level is a new adventure. Each of the four Kongs is a dream to control. The return of David Wise to the series' soundtrack adds a gigantic exclamation mark to what is otherwise an immense treat to experience. 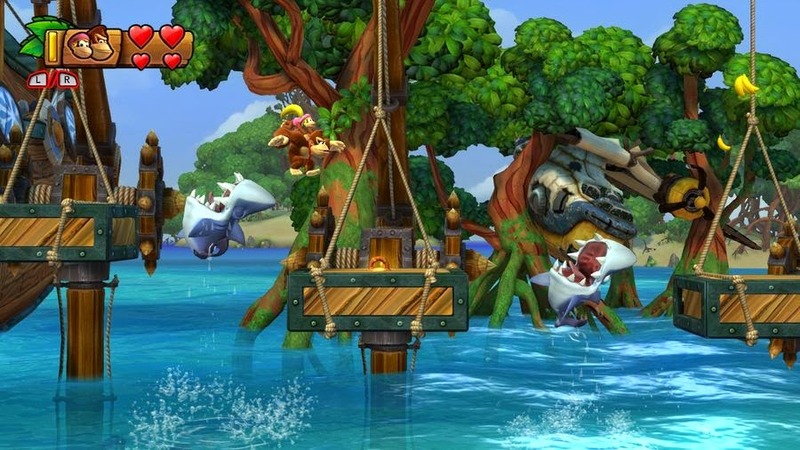 Donkey Kong Country: Tropical Freeze is gaming nirvana, particularly if you're a big fan of the platformer like I am. After the relative disappointment that fans experienced with Super Smash Bros' showing on the Wii with Brawl, many felt that they were owed a better game from the ever-hardworking Masahiro Sakurai and his team. Well, while I wasn't one of these people, I definitely am of the opinion that Sakurai and friends achieved practical perfection with Super Smash Bros. for Wii U, a game which not only plays well for both casual and competitive players (and everyone in between), but it is an absolute love letter to any fan of Nintendo history. Super Smash Bros. for Wii U is jam-packed with content-- so much so that even after nearly a hundred hours of playing the game I have yet to see all that there is to see. Most importantly, though, this new console version of Smash Bros. is just an amazing pleasure to play. It feels responsive, it plays great, and it looks extraordinary, making it my favorite game of 2014. As you can see, Nintendo dominated this year for my SuperPhillip Central end of year awards ceremony. I think it's more to do with the fact that the majority of Western gaming continues to move in a direction that has pretty much alienated me. The only main platforms for big Japanese-style gaming, the style that I really appreciate and meshes with my tastes, are on Nintendo systems. That isn't to say that the PS3 and Vita have let me down. That's not the case at all. Regardless, I hope your 2015 is a joyous year full of fun games and gaming experiences! I will be here on SuperPhillip Central for another great year. I hope you are with me, too!